A balanced greener surrounding has always been the goal of the HVAC & R industry. From houses to workplaces and commercial establishments, eco-friendly air and cooling technologies are becoming one of the standard bearers for sustainability. As the country’s primary industry organization, the Philippine Society of Ventilating, Air-conditioning and Refrigerating Engineers or PSVARE continues to contribute to a more sustainable world through HVAC/R Philippines- the country’s leading and longest running trade show for air and cooling technologies. “Every year, our goal is to promote the practice of HVAC & R systems while embracing our responsibility to the environment and how these technologies could help them for a better future.” said Engr. 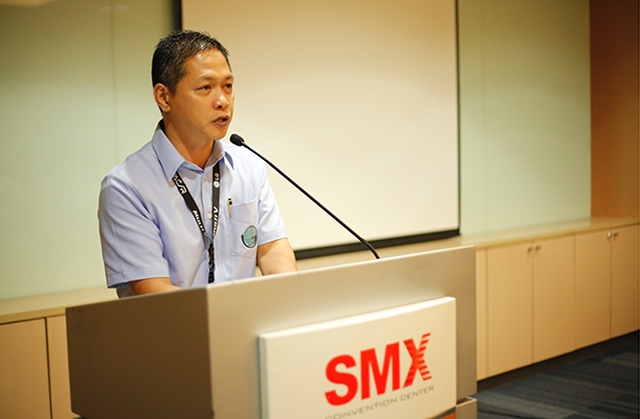 Cezar P. Punsalan, Convention Chairman of HVAC/R Philippines and Past President of PSVARE. 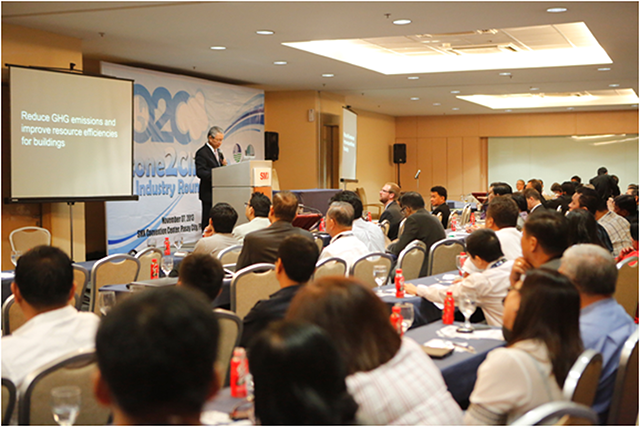 HVAC/R Philippines expo has established itself as the perfect venue for all exhibitors, visitors and industry professionals to get together and meet their business needs. “We are thankful for the success of our recent shows in Cebu last June and in Davao last September with trade attendance of 9,000+ visitors in each city,” added Jim Bata, President of PSVARE. The show is held under the banner of PhilConstruct - the Philippines’ biggest and Southeast Asia’s longest running expo for building and construction. It is the only show where the best of the best in the construction industry have gathered all under one roof. In response to the need to preserve the environment, the PSVARE is positioning HVAC/R Philippines as a move forward in green building, producing more technologically advanced and energy-efficient products. Last year, there were 72 local and foreign companies with 170 booths catered to the HVAC & R market which occupied 1,527 square meters of space. The show has also recorded 64,719 trade visitors which grew by 6.26% from 2012’s 60,908. This November, HVAC/R Philippines expo is set to achieve a more impressive and record-breaking show results happening on November 5 – 8 at SMX Convention Center alongside the 25th PHILCONSTRUCT. “Attracting over 65,000 trade attendees, expect to see a wider range of the best brands all over the world with thousands of energy-efficient products and technologies,” said Punsalan. “For a complete industry experience, we have also prepared exciting and beneficial activities to make this year’s show even more remarkable for the entire industry,” he added. Besides the four-day exhibition, this event features “The 2014 HVAC Design Workshop IV”, a workshop series designed to equip HVAC & R engineers with knowledge for the built environment. 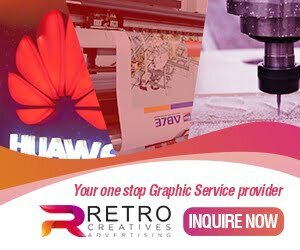 Indeed, this show is not just a regular trade expo but it is also a great venue where we are able to help one another understand the challenges and opportunities in this globally competitive market. Above all these, HVAC/R Philippines has proven to be the only show that caters to the needs of the entire industry. “Our event this year will surely be the biggest and most impressive show yet,” remarked Bata. 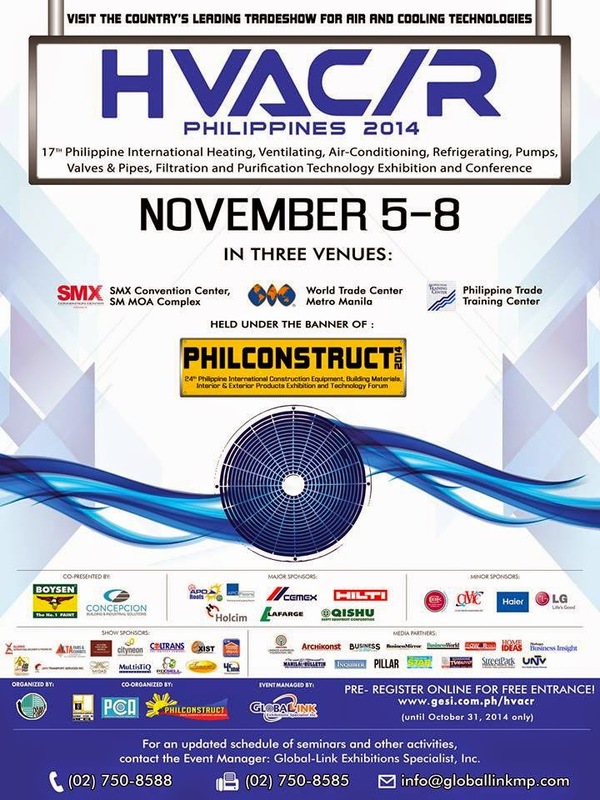 HVAC/R Philippines 2014 is back to bring you nothing but the best from the industry. 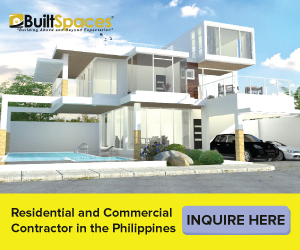 HVAC/R is held back-to-back with the country’s top building and construction show, PHILCONSTRUCT. Together with the Philconstruct Events, Exhibitions and Conferences Corp. (PEECC) and the Philippine Constructors Association, Inc. (PCA), PSVARE promises a bigger and more impressive trade show this year. In the photo are (Top L-R) Ramoncito Ocampo, PSVARE Officer; Morris Agoncillo, Overall Chairman of PHILCONSTRUCT 2013; Augusto Manalo, Immediate Past President of PEECC and PCA; Manolito Madrasto General Manager of PEECC; Cezar Punsalan, Convention Chairman of HVAC/R Philippines; Alex Trinidad, Immediate Past President of PSVARE; (Bottom L-R) Danilo Duya, Past President of PSVARE; Jim Bata, President of PSVARE ; Jangsop Han, President of the Korea Refrigeration and Air-Conditioning Industry Association (KRAIA); Mon Aguilos, PSVARE Officer and Prospero Ylagan, PSVARE Officer. As part of its advocacy for green building, HVAC/R Philippines 2014 brings together all the industry’s top brands to showcase their latest innovations and energy-efficient products and technologies under one roof. 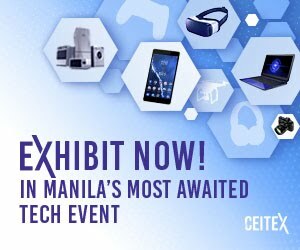 This event is ready to set another ground-breaking show on November 5 – 8, at the SMX Convention Center Manila alongside the 25th PHILCONSTRUCT. In the photo is the Convention Chairman of HVAC/R Philippines, Engr. Cezar Punsalan, at the Press Conference of PHILCONSTRUCT and HVAC/R Philippines where he announced the latest developments in the industry and at the show. In the aim of bringing the best technologies in the country, PSVARE is positioning HVAC/R Philippines as the ultimate destination for products and technologies that are environment-friendly and energy-efficient. In the photo are the Board of Directors of the Philippine Society of Ventilating, Air-Conditioning and Refrigerating Engineers, Inc. (PSVARE), Organizer of HVAC/R Philippines joined by Michael Dauden, Director for Strategic Marketing & Key Accounts for Business Solutions Group, Concepcion-Carrier Air Conditioning Co.
After the success of HVAC/R Cebu and Davao shows, the Philippine Society of Ventilating, Air-Conditioning, and Refrigerating Engineers, Inc. (PSVARE), together with its partners, are excited to finally bring HVAC/R in Manila for its 17th year this November. This event is equipped with countless of business opportunities for everyone. Don’t miss out on the latest trends in HVAC & R industry only at the SMX Convention Center Manila from November 5 to 8. Shown in the photo is the president of PSVARE, Engr. Jim Bata at their General Membership Meeting and Induction Night last 2013. 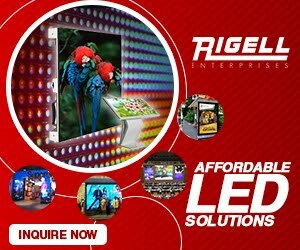 HVAC/R Philippines has remained to be the only venue that showcases the latest from the industry’s best, where you can meet the HVAC & R industry’s key decision makers and business leaders from all over the country including engineers, contractors, engineers, purchasers, project managers and end-users. 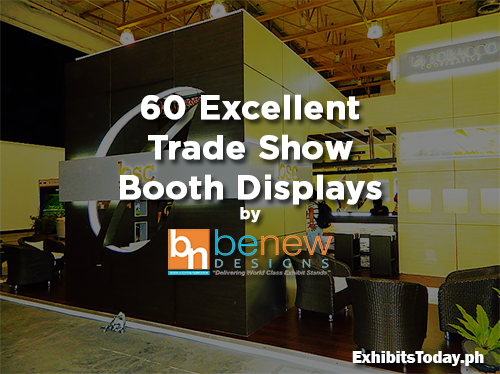 This four-day exhibit is bound to offer limitless opportunities for both exhibitors and visitors, and a bountiful showcase of the latest products and services. 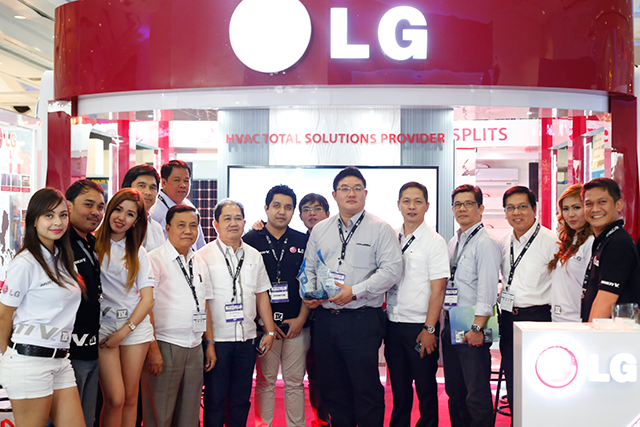 LG electronics is one of the event sponsors of HVAC/R Philippines 2014. Shown in the photo are the Board of Directors of the Philippine Society of Ventilating, Air-Conditioning and Refrigerating Engineers, Inc. (PSVRARE), Organizer of HVAC/R Philippines joined with the representatives from LG Electronics. For more info on the show, please contact Global-Link at tel. no. 750-8588 or email [email protected] You may also log on to http://www.gesi.com.ph/hvacr/ where you may pre-register as a visitor.